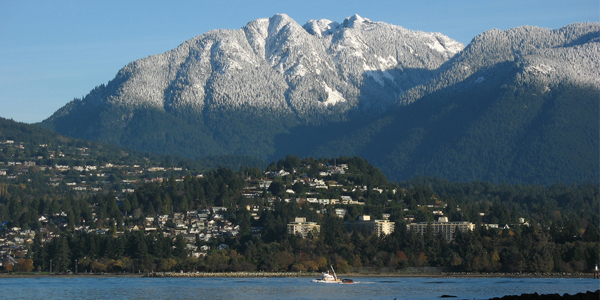 What’s different about plumbing & heating in West Vancouver? West Vancouver has made water conservation a priority. Metering of water use can result in homeowners becoming highly aware of their water use, and costs. Close attention to your usage and cost can be an excellent way to tell if you have a leak, or perhaps just need to consider some efficiency fixtures. Did you know that once the issue is resolved, you can apply to the municipality and ask to have your water bill adjusted? What’s different about plumbing and heating in North Vancouver? The beautiful North Shore can experience a micro climate due to its narrow perch on a mountain beside the ocean. It’s cooler here, and it rains more. Challenges specific to the beautiful terrain require special knowledge in things like home and driveway heat, and drainage. We install patio heaters and yes, we do cooling too. An excellent way to cool your home is by using a highly efficient heat pump. If you want a company who knows your neighbourhood and can adapt to your unique needs, phone us.